Hello, I have 96 liters aquarium, 60x40x40cm. 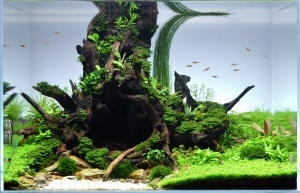 In 2018 I earned second place in the Romanian Aquascape Contest. The tank was illuminated by a Dennerle Trocal 30w lamp. I want to try the new Mitras lamp! Thank you!